When I think of fall my mind automatically goes to leaves changing color and dropping from the trees (also football, but that isn’t as pretty of a card!). It’s my favorite time of year. When I read the post on Bitten By the Bug 2 challenging everyone to make a fall themed card I couldn’t pass it up. The rules were to use at least one Cricut cut and one stamped image. 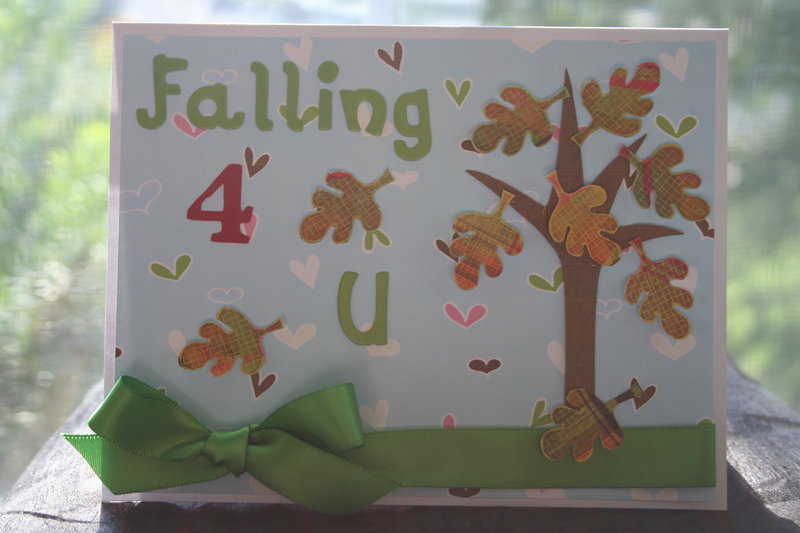 I used the tree cut from the Wild Card Cartridge and a leaf stamp from the Falling Leaves set from Stampin’ Up. The letters were in the dollar bin at Michaels and I cut the #4 from the Plantin Schoolbook cart. 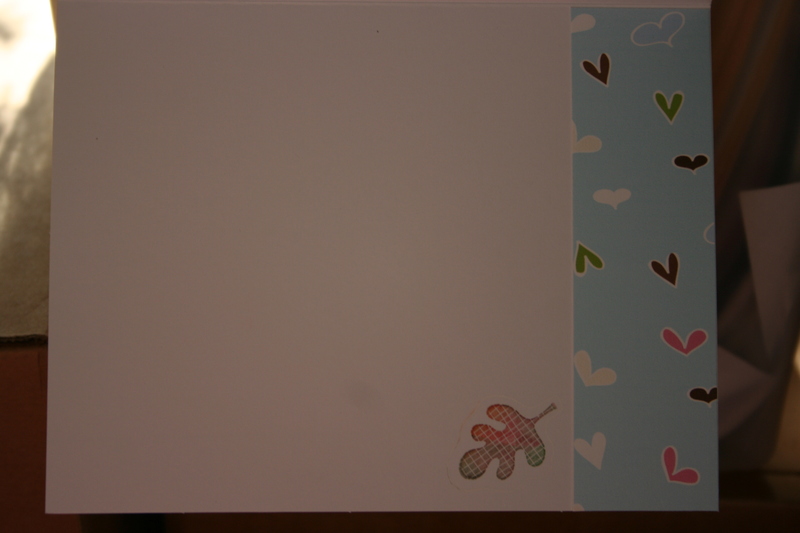 The background paper is from Polka Doodles. the leaves were stamped onto plaid paper from DCWV The Pet Stack. 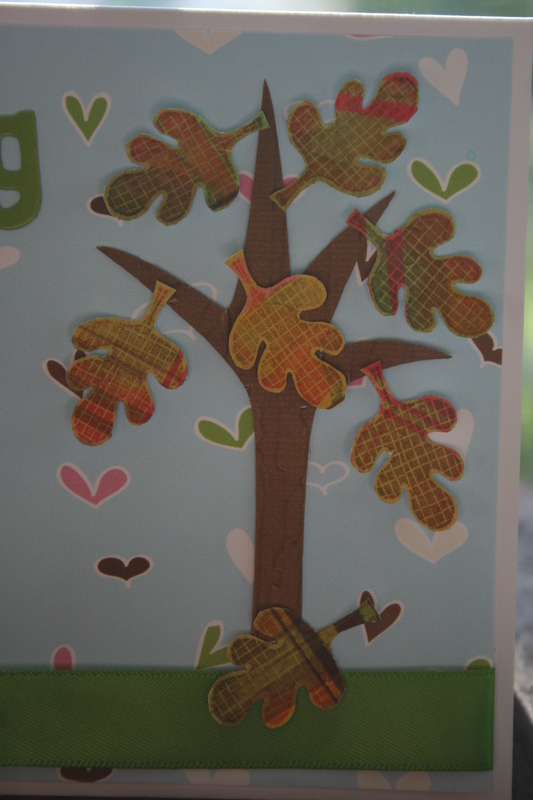 I stamped the leaves with 4 different color inks (green, red, orange, brown) to give it that changing color look. Then I cuttlebugged the tree trunk and leaves. Thanks for your kind comments and feedback! It got crazy here yesterday afternoon. We thought my 9 year old had appendicitis. Even the doctor said she was showing classic symptoms. But an x ray showed she actually needed… to eat more fiber and get her insides moving again. Life is never dull with three children!